Google is trying its hand again at social networking, introducing on Tuesday a service called Google+. Currently available only to a small group of testers, its aim is to enable sharing between small groups of people. Google+ appears to be the rumored Google Circles social networking service that was the buzz of the South by Southwest Conference back in March. Google claims its new service is a dramatic rethinking of a social networking paradigm invented by Facebook where, Google says, there's no good way to define our various types of friendships, and share information accordingly. In fact, Google+ resembles Facebook's Groups feature, where information shared is between groups of related people. What's for sure is that Google has been under immense pressure to come up with an answer to Facebook, which has rapidly emerged as the vehicle for many netizens' identities online. With "social search" and "social web advertizing" emerging quickly, Google has a huge financial interest in becoming that vehicle. 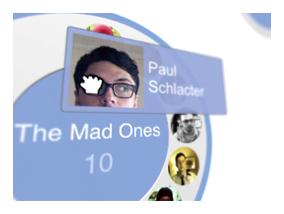 Circles is Google+'s method for friends management. Google believes we organize our real life relationships in various kinds of circles ("close friends", "wackos from college", etc. ), giving each circle a different set of rights to our personal information. That's exactly what Circles is meant to do online, allowing you to form graphical circles of friends into which you can drag and drop new friends as you see fit. When posting content, Google+ allows you to select which circles can see the content. Hangouts is basically a glorified video chat room. When logging onto the service, you can select to inform your contacts that you're "hanging out." 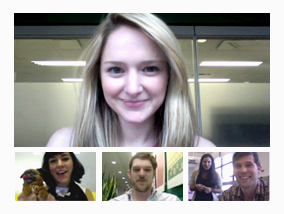 "With Hangouts, the unplanned meet-up comes to the web for the first time," the Google says. Finally, Sparks is Google's answer to social sharing. The feature asks for subjects that you're interested in. 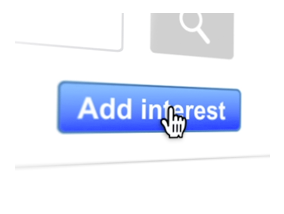 After entering some interests, Sparks shows a list of content from across the web. At that point you can pick and choose from among the content and share it easily with any of your circles of friends. In addition to the desktop features, Google is also launching some special features for mobile devices. Android phones will gain a feature called Instant Upload, where pictures are automatically uploaded into Google+ for easy inclusion in a your profile. Google also is introducing a feature called Huddle, which will enable group chatting on mobile devices among you and your Google+ using friends. What remains to be seen is whether or not the Mountain View, Calif. company will be able to make Google+ work. Its Orkut social networking service is popular overseas, but has never caught on here in the US. Google's last effort in social networking -- Google Buzz -- was an even bigger disaster. Not only was the purpose of the app convoluted and widely misunderstood, but many users were taken aback by Google's willingness add people to the service without their consent. The fallout resulted in several privacy-related lawsuits. The fact that Google+ is so low-key at this point may indicate that Google has learned a lot from the Buzz experience, and doesn't plan to repeat its gaffes any time soon.